Capt. 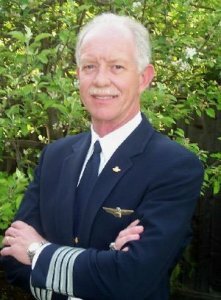 Chesley “Sully” Sullenberger is not just the hero who brilliantly landed his airplane on the Hudson River, he is a bona fide great communicator. He is humble yet has a message. He inspires yet speaks sparingly. I remember eagerly awaiting his first speech since the landing – and I was stunned. He spoke for only 17 seconds. Eloquently, and I blogged on it, hoping we would have more of that rarified speaking impact in the future. We did. And he does – deserve #1 for communicating as skillfully as he flies an airplane. And that’s saying something. When I first met Matt Lauer on the TODAY Show in 1996, he was just about to break into full time hosting. What struck me most is he was so affable yet could be strong in an interview. Matt is as nice, humble, and enthusiastic a communicator to me off stage as he has been in his last decade as a star. Always unflappable, he can be very confrontational in an interview when necessary, even with a President, yet is usually open and humorous. Behaviorally he has great eye communication, wit and energy. His longevity alone, at the top of broadcast pyramid, wins him a long deserved place in the Top Ten. What a transformation. 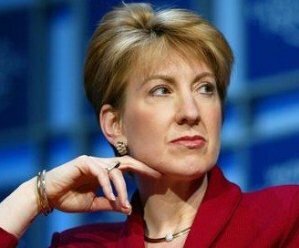 From fallen executive (past CEO of Hewlett Packard,) to a wooden sounding spokesperson for Presidential Candidate John McCain, to cancer survivor, to Senatorial candidate on a mission, Carly Fiorina always has communicated with great energy (with the McCain Convention an exception – teleprompters quenched her volubility). Now she has a purpose and a new pursuit to use her executive skill. Her message is powerful and sympathetic with her “If I licked cancer I can lick anything” attitude. It is refreshing to see her model the transition from glamorous blond executive to cancer survivor with no hair – she makes up for the loss with added passion. It will be interesting to see how she does on the campaign trail – I hunch she’ll more than survive. He has been on the Top Ten list before, and I try not to have repeats, but there is no denying his justifiable position here, again. His mind and his mouth have led him to be named CEO of the decade by Fortune Magazine. As CEO and speaker and celebrity, he stands above the pack. 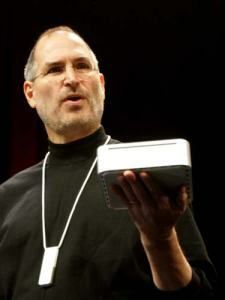 Although he did not give his famous keynote address this year at Macworld, (here’s a clip of his iPhone announcement) – he did conquer a liver transplant. And even though under the weather, you can be sure he was also behind the scenes guiding Apple to another record setting year in the midst of economic turmoil. He’s overcome turmoils before. Perhaps you haven’t heard of him – time to take a look here or his website. 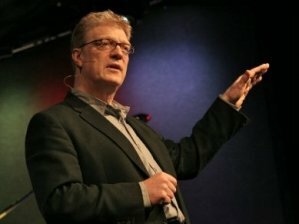 One of the featured speakers at TED, Sir Ken is brilliant at story telling and humor. He also has quite a message for educators. He creatively advocates at every opportunity the need to bring creativity back into academia, particularly for the children. And he is an eloquent and funny voice for the young of all ages. The Heath brothers are masters of communicating sticky messages. Their 2007 breakaway best seller “Made to Stick” defines the ultimate test for stickiness. Since then, they’ve been consulting for big business and non-profit alike, landed a monthly column in Fast Company magazine and they’ve been speaking… a lot. This August they were the “opening act” for Bono (they spoke just before his videocast appearance) to a crowd of 60,000 at the Willow Creek Leadership Summit. 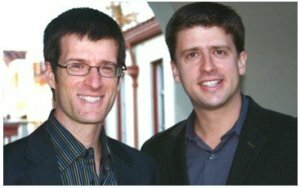 They are expert teachers and master practitioners, and they’re in the top ten this year because we’ve had the very special opportunity to witness them in action as we co-developed the new Decker Made to Stick Messaging Program. You’ll be hearing lots more from them and about their new sticky ideas on change…their new book Switch releases in February. Yes, a singer, but also a talker. Taylor Swift turned the insult by Kanye West at the MTV VMA’s into an opportunity to launch herself into the mainstream. In her SNL monologue response to the incident she came across as confident, bold but modest, humorous, and likable. Remarkably, she is only 19 but has the maturity of a seasoned performer. Taylor elevated herself out of the tween pop country realm and into the spotlight by articulating her point of view with humility and strength, instead of shrinking away in embarrassment. In interview programs she shows she can do more than sing. On top of all that, she was named Entertainer of the year. Looks like she’ll be communicating in a big way for many years. Chris is unusual for several reasons. He is at the cutting edge of blogs and social media, is a great writer, and this year wrote the best seller “Trust Agents.” It is because of his speaking on these things that he has become not only proficient at speaking – and somewhat of an authority. Just as he has ‘burst’ to prominence in the social media fields, so he bursts onto the Top Ten Communicators list. (He calls it “the overnight success that took years.”) In addition, and of great interest to me, is his amazing ability to multi-task. I have seen him talk, tweet, change PowerPoints, chair a panel and type all at the same time. 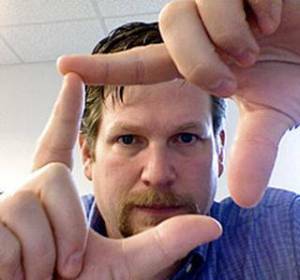 Parallel thinking to the max, it’s a great asset for communicators and all could learn from Chris. 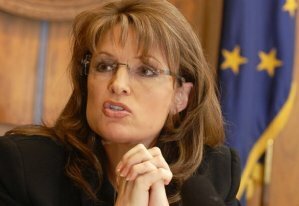 No doubt a controversial pick (as will be #10 on the Worst list), Sarah Palin is where she is today primarily because of her communicating ability. And she’s only #10 on the list because she is flawed in crisp focus (Q&A) and casualness. Yet like the Phoenix, she continuously comes back from the ashes – because she can talk, and talk well. Remember her two landmark speeches in the political year of 2008, where she turned around the enormous negativity of the questions “Who’s Sarah Palin” and “Why is she here” with two resounding and successful speeches. This year she surprisingly resigned as Governor, appeared to be a quitter, and the media relegated her to a has-been status. Then she turns around in 6 months with “Going Rogue”, one of the biggest non-fiction best sellers in history, and gets record crowds and massive media exposure – because she is energetic, fresh and personable. She is the poster child for likability. Communicating got Obama where he is, and it continues to keep Palin on the move. The President of Iran since 2005, Ahmadinejad has been a center of controversy since his election. His many strident communications are continuously those of arrogance and dissension. The Iranian uprising in June of 2009 was caused by Ajhmadinejad’s repression of free speech and rigged elections (even though Twitter helped shine some light.) He has called the holocaust a myth, and blusters for Israel to be “wiped off the map.” Contentious at best, ignoring the world at worst (eg. sanctions over Nuclear energy production), Ahmadinejad is the worst communicator of the year. 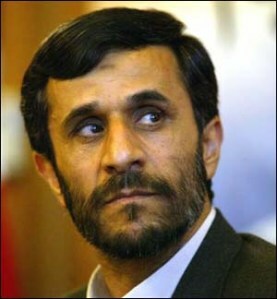 UPDATE: Ahmadinejad continues his communications of opacity and obfuscation in response to the end of year uprising. What was he thinking? When Gov. Sanford was caught with his Argentinian mistress, he had a long, rambling press conference where he blocked, obfuscated, cried, wheedled and otherwise communicated like an incompetent teenager. No wonder they tried to impeach him – he was no kind of leader with that kind of communicating, much less behavior. There have been others who have recovered after the fall from the perch – Bill Clinton, Martha Stewart, Kobe Bryant come to mind – but all of them did it with confession and contrite communication. And a clarity that Sanford seems to lack. You could also say “What was he thinking?” But compared to Mark Sanford, here there was NO communication of any kind. (Well, he had a few blog ‘press releases’ but nothing from him personally, so we have no clips.) First of all, to be seen and heard is essential – a press release doesn’t do it. And good communicating and speaking must be authentic. Apparently with Tiger Woods there was deception for years. Which means that all of Tiger Woods speaking and appearances, such as they were, were false, and on a world stage no less. Now, when caught in the lie, the deception continues in a vacuum – no communication, no openness, no trust, no forgiveness and the worst results. Tiger Woods, to date, has handled this about as badly as you could handle a major media snafu. Personally, I hope he begins speaking, and speaking honestly. 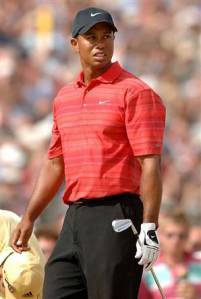 Without that he will not regain personal prominence, even though he can continue to excel at golf. 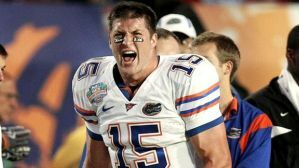 A repeat from last years Worst List, because he never learned how. 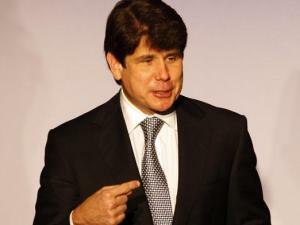 Ex Governor Rod Blagojevich continued to rant and rave, with no logic and no grace. What’s worse, where he used to have good communication skills (after all it’s what got him elected) he has deceived HIMSELF with thinking that he could continue to be believed, as evidenced in his January plea to the Illinois Senate. And thus he becomes a laughing stock and an object of derision. In his case, not communicating for awhile would be a good thing. No deception here, just unfortunately terrible communication skills. Caroline Kennedy is a woman of tradition, and is to be admired for her many accomplishments. All the media had her as a sure thing for appointment to a New York Senate seat by Gov. Patterson when Hillary Clinton went to Secretary of State. But then Caroline Kennedy opened her mouth. And filled the air with uncertainty and doubt, amidst a bunch of ums and uhs and other non-words. She avoided the press, and couldn’t put a Point Of View together if her nomination depended on it. And it did, and thus she dropped out quickly. Too bad – if you can’t communicate, you can’t get elected. What an opportunity squandered. Governor Bobby Jindal was the Republican rebuttal to President Obama’s State of the Union – a relative unknown with a chance to make a name for himself. Well, he did, but not in the way he wanted. He was stiff with the through the lens teleprompter, and his sing-song vocal delivery did him in. 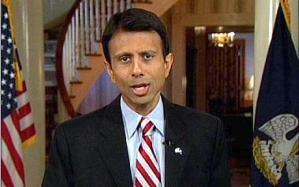 And here’s a classic clip of Rachel Maddow, who herself is not one of the best, calling Jindal one of the worst. Here she was right to be speechless. How magnanimous of former Allstate CEO Edward Liddy to come in on a charging steed and take over the reins of the battered AIG – and for only $1 in salary. His positive aura quickly deteriorated when he was found out to own millions in Goldman Sachs stock, for which AIG paid out handsome dividends. 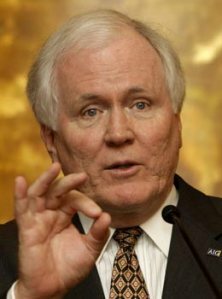 His deceptive communications continued as AIG continued to hand out excessive executive bonuses – the ensuing scandal and Liddy’s poor congressional testimony further served him up as the 2009 poster child for bank and investment firm CEO’s who lacked direct and forthright communications to the public. “Larry you’re being inappropriate,” were the surprising words coming from the smiling face of Carrie Prejean. This was the lowpoint (so far) of her communications downfall in her appearance on The Larry King Show, where she walked out, then stayed. It was beyond awkward and confirmed the only consistency in her communications…inconsistency. This former Miss America contestant at first seemed sincere in her comments after being fired from the Miss America pageant, taking a strong stance for purity, and then getting herself tangled in lies about scandalous pictures and a video. She appears defensive and naive by speaking with an inauthentic smile, avoids the elephant in the room, references herself in the third person, and constantly tilts her head and waves a judgmental finger. This is a role model for poor communications. 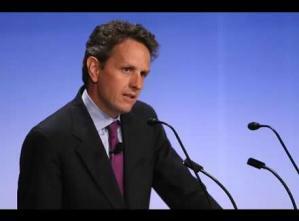 Timothy Geithner started out badly as he continued the dour communications style of Hank Paulson. Both held the same jobs as Secretary of the Treasury in one of the most critical times of financial crisis, and both couldn’t have been much worse in communicating the way out. 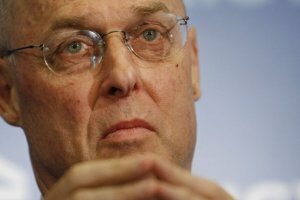 The air of aloofness was almost palpable with Hank Paulson, and Tim Geithner was not much better. 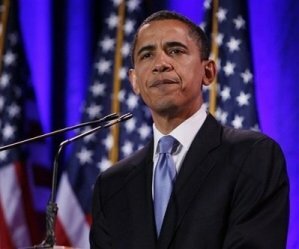 And when Geithner got excused by President Obama for an income tax ‘error’ (more on Obama next), he then topped his lack of communicating credibility with his announcement of a plan – and there was no plan.